Resource Orchestrator is a private cloud framework that provides customers with their own “infrastructure as a service” (IaaS) capability. StrataCloud SDI is a management tool for virtual desktops. Virtustream is a leading provider of software and services enabling enterprise class cloud computing. App360 is an industry hybrid / multi-cloud solutions that are plug-n-play and can be ready-to-use. Bit Refinery is the next generation cloud hosting company powered by VMware which enables your company to benefit from a fully secure and scalable virtual infrastructure. CenturyLink® Public Cloud services allow you to economically start, grow and support applications using on-demand server resources in a virtualized environment that is easily accessible over a public network. CenturyLink® Public Cloud services allow you to economically start, grow and support applications using on-demand server resources in a virtualized environment that is easily accessible over a public network. CenturyLink allows you to create, run and scale apps with a portfolio of flexible cloud solutions. Get powerful, hybrid-ready services with the governance, automation and advanced features needed to accelerate your business. Whether you need elastic infrastructure, cloud-native application services, orchestration or managed solutions, CenturyLink provides it all on a unified platform. 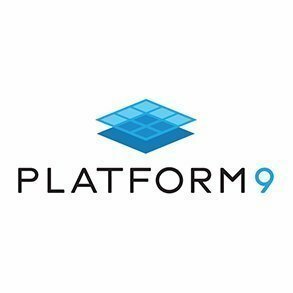 • Outstanding 24/7 support • Native management at scale • Native PaaS for Cloud Native Apps • 100% uptime SLA for Public Network • Managed Services with experts to monitor your apps • Access to thousands of certified professionals • Direct connect networking options • Free Cloud Onboarding"
Cherry Servers are virtual top-performing servers deployed automatically within minutes to suit your database, storage, website or computing purposes. ConsolePark delivers best-fit enterprise-level IT infrastructure solutions including Cloud Hosting, Enterprise VPS solutions, Disaster Recovery, Enterprise Database Management, Dedicated E-mail server, etc. Cronon is an IT service provider specialising in ERP solutions, database management and RC outsourcing, that also operates as an Internet service provider. CtrlS is a Tier 4 certified data center offering cloud server hosting, dedicated server hosting, VPS hosting and other data center services. DADI is a API-first development stack for products of all sizes and scale. Datacenter.eu offers colocation, connectivity and other managed services. Looking for a flexible and reliable platform for your mission-critical hosted applications? Dimension Data Cloud may be the solution you're after. DuploCloud is an infrastructure broker for native cloud applications. ENKI has created PrimaCloud as a premium managed cloud computing service offering scalable Virtual Private Data Centers delivered in a virtual colocation paradigm, with industry-leading guaranteed levels of performance and reliability. The flexible infrastructure as a service solution for your future-proof cloud computing applications. Enterprise Cloud is your perfect choice—with transparent prices, maximum data privacy in certified data centers, an unbeatable backbone connection, simple use thanks to the Data Center Designer and the Cloud REST API, and reliable live vertical scaling. ExaGear Desktop can run any desktop applications that are not compatible with Raspberry Pi, Odroid, and other ARM-based devices. Start with a solid core of compute, storage, and state-of-the-art network resources, then build it out with the exact components you need to make our cloud your own. There's no such thing as small, medium and large here. Forget about compromising and join a revolutionary new approach to IaaS. Key Systems, Inc.'s GFMS Cloud Services offer customers a virtual IT department providing easy, safe access to applications, resources and services - a turn-key solution that keeps data secure and costs low. GridWay provides cloud computing & IT solutions to meet the needs of small to medium-sized businesses. Infrastructure as a service is a cloud computing system that provides virtualized computing resources over the Internet. Enterprises are facing diversified needful problems due to the increase in load and continual growth of its operation, expensive data centers, full-scale support and diversified issues. In order to rectify this issue, we offer Infrastructure As A Service. It's a pay per use service, which helps you to avoid the large infrastructure investments, driving it to decrease the IT costs. Rather than treat storage, servers, virtualization, and management as different datacenter silos, HC3 products bring these all together in a comprehensive system and automates overall management. Host1Plus provides reliable cloud computing and network solutions. 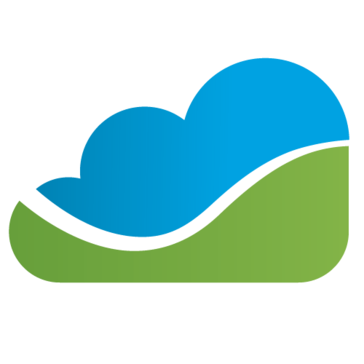 iland Secure CloudSM is a self-service cloud infrastructure, built to meet the dynamic needs of your business, whether short or long term. Built on VMware vCloud and Cisco PoweredTM technology and accessed through the iland Secure Cloud ConsoleSM, iland Secure Cloud is designed to support a variety of workloads, disaster recovery and compliance needs. Immedion Cloud is a management tool to deploy and manage virtual servers with on-demand resource elasticity. infraLayer provides private/public Cloud infrastructure architecture services on a proprietary architecture. With the cloud, you no longer are dependent upon a bank of physical servers to act as a host for your email, software applications or phone system. The cloud gives you the capability to scale your technology as your company grows and converts your capital expenses into operating expenses: you pay as you go. INVOKE Cloud is a cloud computing optimization platform offered as an Infrastructure as a service (IaaS) and designed to significantly bring down hosting-related expenses, saving users as much as 50-80% while making sure that applications are available when needed. IronOrbit hosts desktops, servers, and applications. It specializes in cloud-based services offering 24/7 support and a 100-percent uptime guarantee. King Servers B.V. - a company that provides fully managed virtual and dedicated servers, anti-DDoS protection and 24/7 backup data storage services. We have been working in the international market for more than 10 years and are an active member of the RIPE NCC and the American Registry for Internet Numbers. Lanamark is a VDI tool that helps IT departments identify physical and virtual assets. Linkbynet Managed Services provides cloud computing expertise, high-security business hosting, IT performance management, etc. Logicworks provides cloud computing and managed hosting to some of the world's most respected brands. Logicworks specializes in Private, Public and Hybrid Cloud hosting. MyCloudIT is a turnkey automation and management solution to deliver desktops and applications in Microsoft Azure. Move to the cloud quickly and simply with remote desktop services (RDS) technology on Microsoft Azure Infrastructure-as-a-Service. Optimize IT costs and performance with intelligent automation and monitoring tools from a single pane of glass. NanoVMs delivers a unikernel virtualization solution designed to run thousands of VMs on a single server and prevents shellcode exploits. The NaviSite's Managed Cloud services are a robust, virtualized infrastructure deployed as multiple, secure infrastructure clouds in NaviSite's data centers. NBS System is an expert in managed hosting, specialized in two line of work: * Ecommerce Hosting (Magento & Hybris) * Very high security environments The company now is leader in France regarding Magento EE & Hybris hosting and owns meaningful references in Europe. Being a pentest company at the origin, we also developed high security environment, where we host sensitive sites/data that our customer want to keep out of reach from menaces like DDoS, SQL Injection, XSS, overflows, etc.